Captain Beefheart (born Don Glen Vliet January 15, 1941 – December 17, 2010) was an American rock and blues musician, poet and painter, best known under the pseudonym Captain Beefheart. He extended his name to Don Van Vliet during the early 1960s. Vliet's output is rooted in blues music and rock music, but his idiosyncratic, diverse approach largely defies classification. Much of his work was conducted with a rotating assembly of musicians called the Magic Band. He was mainly a singer, but Vliet was a capable harmonica player, and occasionally played noisy, untrained, free jazz influenced saxophone. Among the most important of "underground rock" musicians, Captain Beefheart's legacy is one of poor record sales, critical acclaim, and a devoted following. He did manage to influence several punk and alternative rock musicians and groups. Zappa and Beefheart were friends since high school. They shared an interest in blues records. Beefheart was especially fond of Howlin' Wolf, with whose raspy and powerful voice he is often compared. Zappa and Beefheart recorded a few songs together in those early years and also in Studio Z in Cucamonga (Lost In A Whirlpool, Alley Cat, ...). After Zappa had founded The Mothers, Vliet started his own band The Magic Band. After a few albums Beefheart felt disillusioned by the music industry. Beefheart sang Willie The Pimp on Zappa's album Hot Rats (1969). In Amougies, Belgium Zappa and Beefheart played together at the Actuel Festival. 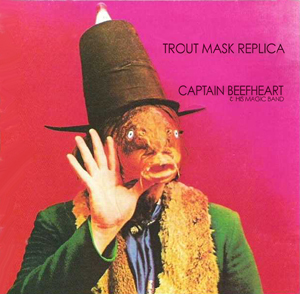 Zappa offered his old buddy the opportunity to record an album in total creative freedom: Trout Mask Replica (1969), which appeared on Zappa's label Straight Records. Due to Beefheart's experimental and dissonant sound and surrealistic lyrics the record was not a huge best seller, even though today it's considered to be a groundbreaking landmark in the history of rock music and especially avant-garde music. Beefheart blamed Zappa for the disappointing sales and the old friends refused to have anything to do with each other for several years. Beefheart became a cult musician in his own right, but his album sales were so low that he hardly made any money. Due to contractual obligations he was unable to record a new album by 1975 and he returned to Zappa asking him to help him. He and Zappa toured together for a few months and released their first and only album together: Bongo Fury (1975). Beefheart also contributed some harmonica music on Zoot Allures and One Size Fits All and there were plans that Zappa would produce Beefheart's next album "Bat Chain Puller". However, due to new arguments and problems, both musicians once again went their own way. Beefheart's next albums were much better received, but in 1982 Beefheart decided to quit recording albums and devote the rest of his life to painting. In Zappa's final years Zappa and Beefheart set their old differences aside and became good friends again. Zappa also contributed to the BBC documentary The Artist Formerly Known As Captain Beefheart. Captain Beefheart was name-checked as "Don Vliet" in the liner notes of "Freak Out!" (1966) under the heading "These People Have Contributed Materially In Many Ways To Make Our Music What It Is. Please Do Not Hold It Against Them". He is also pictured in the collage on the "We're Only In It For The Money" (1968) cover  and on the cover of "Bongo Fury". He is also mentioned in "The Real Frank Zappa Book" (1989). WSTM, Chicago: "Beatle Bones 'N Smokin' Stones", "Zig Zag Wanderer" and "Flash Gordon's Ape". WPIX, New York: "Owed T'Alex"
KUNM, Albuquerque: "Pachuco Cadaver", "Pena" (both songs from Trout Mask Replica) and "Golden Birdies"
(1969, US Original on Straight, STS 1053). The album was produced by Zappa and his voice can be heard on the track The Blimp. This set contains Zappa performances unavailable on an FZ release, and includes Actuel Festival material, of Zappa introducing Captain Beefheart and two videos of Captain Beefheart's performance (with Zappa in the background). "The Odyssey of Captain Beefheart" (Langdon Winner, May 14, 1970, Rolling Stone): Beefheart's life as a musician began in the town of Lancaster nestled in the desert of Southern California. He had gone to high school there and become the friend of another notorious Lancasterian, Frank Zappa. In his late teens Don Van Vliet listened intensively to two kinds of music - Mississippi Delta blues and the avant-garde jazz of John Coltrane, Ornette Coleman and Cecil Taylor. Although he was attracted to music and played briefly with a rhythm and blues group called The Omens, he did not yet consider music his vocation. He enrolled at Antelope Valley Junior College in 1959 as an art major, and soon grew suspicious of books and dropped out. For a brief while he was employed as a commercial artist and as a manager of a chain of shoe stores. "I built that chain into a thriving, growing concern," he recalls, "Then as a kind of art statement I quit right in the middle of Christmas rush leaving the whole thing in chaos." In the early Sixties Don Van Vliet moved to Cucamonga to be with Frank Zappa who was composing music and producing motion pictures. It was at about this time that Van Vliet and Zappa hatched up the name Captain Beefheart, "But don't ask me why or how," Beefheart comments today. The two made plans to form a rock and roll band called The Soots and to make a movie to be named "Captain Beefheart Meets The Grunt People", but nothing ever came of either project. In time Zappa left for Los Angeles and formed The Mothers. Beefheart returned to Lancaster and gathered together a group of "desert musicians." In 1964 the Magic Band was ready to begin playing teenage dances in its home town. The one stage appearance of the first Beefheart ensemble was bizarre to the point of frightening. All members of the Magic Band were dressed in black leather coats and pants with black high heel boots. The lead guitar player had a patch over one eye and long dangling arms that reached from his shoulders to half way below his knees. At a time that long hair was still a rarity, the Captain sported long dark locks down to his waist. It was simply outrageous. The band was an immediate sensation in Lancaster and very soon its fame began to spread throught southern California. Beefheart's brand of abrasive blues-rock was truly a novelty to young listeners in 1964. Record companies interested in the new sound began to take notice. In mid 1964 Beefheart entered into the first of a long series of disastrous agreements with record producers. "Conversation with Captain Beefheart" (Eliot Wald, July 1973, Oui magazine): A Southern Californian whose real name is Don Van Vliet, Beefheart dropped out of Antelope Valley Junior College shortly after enrolling in 1959. He hung out with Frank Zappa before the Mothers of Invention were formed. Then, in 1964, Don Van Vliet rode into Los Angeles from the California desert, equipped with a collection of strange-looking musicians known as The Magic Band. He promptly recorded a single (his version of Diddy Wah Diddy, popularised by Bo Diddley) that became something of a local hit, but he was turned down by the same record company when he tried to convince them to release an entire album of his songs. They called the songs "too negative." The album, titled Safe as Milk, was released later by another company. It joined that limbo of low-selling platters, becoming what Rolling Stone refers to as "one of the forgotten classics of rock and roll." Strictly Personal was the name of his second album, but Don is reluctant to claim credit for it. He believes that it was ruined by an unapproved last minute re-engineering job that buried the music in layers of extraneous electronics. Next he was offered "artistic sanctuary" by Frank Zappa's Straight label (Warner Bros.). Beefheart spent only eight and a half hours writing an album called Trout Mask Replica. It then took him six months to teach his band how to play it. Rolling Stone described this one as "the most astounding and most important work of art ever to appear on a phonograph record." However, it was not to everyone's taste. The tunes are a weird mixture of free-form jazz, Mississippi Delta blues, and rock - often all three simultaneously. Rhythms are totally unpredictable; what starts out as a blues boogie may end up sounding like a surrealist waltz. Everybody seems to be playing whatever comes to mind, including Beefheart, whose sax, musette, and simran-horn solos (played through tubes that allow him to play two instruments at the same time) swoop and dive, mirroring his incredible four-octave voice. Lyrically, it's absurdist poetry, with Beefheart adlibbing such lines as "A squid-eating doe [sic] in a polyethylene bag is fast and bulbous. Got me?" Trout Mask Replica was not an overnight sensation. After splitting with Zappa over alleged double-dealing (the company countercharged that any man who'd hire eight tree surgeons at its expense was too much to handle), Beefheart settled down to make a series of albums with titles like Lick My Decals Off, Baby and The Spotlight Kid. His newest, Clear Spot (packaged in a clear-plastic envelope, a tactic adopted when Warner Bros. refused his request that the album be pressed on transparent vinyl) was written in its entirety during a two-hour auto ride to a gig. He hummed the tunes into a cassette recorder while dictating the lyrics to his guitarist. "Listen, be quiet and pay attention to this man's music. Because, if you don't you might miss something important - and we wouldn't want that to happen to you - because you need all the friends you can get..."
- Zappa announcing Captain Beefheart during the Actuel Festival in Amougies, Belgium, 1969, which can heard on Grow Fins: Rarities 1965-1982). "If Frank Zappa ever makes it in the history books, it'll be because of the fact that he has been the Vocal Coach of Don Van Vliet aka Captain Beefheart." - Frank Zappa, interviewed by Marc Didden in 1974, quoted in Humo Spoke With Zappa!. "Life on the road with Captain Beefheart was definitely not easy. He carried the bulk of his worldly possessions around in a shopping bag.It held his art and poetry books and a soprano sax. He used to forget it in different places -- just walk away and leave it, driving the road manager crazy. Onstage, no matter how loud the monitor system was, he complained that he couldn't hear his voice. (I think that was because he sings so hard he tenses up the muscles in his neck, causing his ears to implode.)" This page was last modified on 26 August 2014, at 02:46. This page has been accessed 78,040 times.